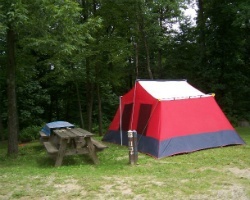 *Rocky Fork Ranch* is a fun and scenic campground situated in the Salt Fork Lake Region. It is only 1/2 hour to Cambridge, Ohio, where you can enjoy great shopping, dining, historical sites and more. 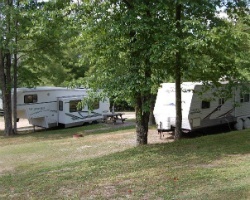 The campground offers spaces for RVs and tents, and also has cabins if you prefer the comforts of home! Located on over 850 acres of forested terrain, outdoor lovers will experience spectacular views and endless trails for nature walks and horseback riding. In addition, an array of amenities include fishing, kayaking, canoeing, swimming, mini-golf, paintball, an indoor gym and activities at the horse stables. There are planned events and weekends that the whole family will love, such as spa weekends or a Hoe Down at the ranch! For more information about this exceptional campground, visit www.rockyforkranchresort.com. Option to bring a tent, RV or enjoy one of the many cabins! Great outdoor activities from mini golf to tennis, and much more! 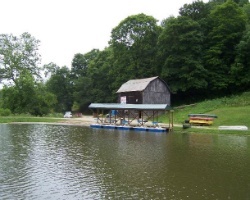 Scenic & fun campground on over 850 acres in the Salt Fork Lake Region! Yearly usage in floating days or weeks! RV & tent sites & cabins! Make offer! Great option for outdoor lover's! Various locations available!